A.L. Meinhold has written a beautiful short fantasy here. Although this books seems to have been written for a younger audience, anyone who enjoys fantasy will enjoy it. I would have liked to have seen a little more “showing” and a little less “telling”. The editing could have been better, however minor formatting and editing issues don’t annoy me too greatly when reading indie work. The cover is full of beautiful color but I think it looks a little too much like a children’s book instead of a YA novel. Watreon is a believable place which is important in fantasy writing. The characters, while interesting and well thought out could have used a little more “fleshing” out to make them a little more memorable. Since this is the first in a series, I expect that A.L. Meinhold will probably do just that in the next edition. I will be watching for the next installment. “Station Eleven” by Emily st. John Mandel is the most interesting twist on “the end of life as we know it to be on earth” that I have ever read! The unlikely intertwining of lives and personalities within the story is magnificent. The story stretches across decades, bringing characters together who’s paths might never have crossed without the authors direction. It is suspenseful, and sometimes dark complete with a maleficent “Prophet” and everyday heroes made spectacular by their circumstances. Fate connects a plethora of characters and huge surprises are in store. If you have ever wondered what the world would be like in the wake of pandemic,particularly in the reestablishment of humanity. here’s your chance. Today, anyone can publish their work without submitting themselves to the grueling task of “finding” a publisher who is willing to take it on and without all the rejection from the BIG publishers out there . . . but publishing and selling the work are two totally different things. Because publishing is so much easier for authors nowadays, the market is flooded and readers are more dependent on reviews than ever. Reviews help us to make “better” choices about products, movies and books. Reviews sell books! It’s a well known fact. Without them, the public has no way of determining if your book is worthy of their time or money. When I first started writing The Wraith of Carter’s Mill, I had no idea how important they really are. I have learned that it does not matter how good your work is IF you don’t have the reviews to back up the claim, because potential readers will peruse right by your work and purchase something else from the same genre, a similar book that has the reviews! While covers, book descriptions and back cover synopsis have a lot to do with it, most book shoppers go straight to the reviews. If your book has been out there for a while and has a small handful, you are less likely to entice the reader to make the purchase . . . after all, there are hundreds if not thousands of other books to chose from in your genre. Although I have a background in business and understand competition, I really had no idea that authors, books and publishers are competing against one another for their fair share of the market. Interestingly enough, I have also found that less than stellar reviews can be as helpful as FIVE star ratings, especially if the reviewers have taken the time to explain why they liked or did not like the work. Varying opinions of a work create diversity and interest. A “middle of the road” review, a 3 for instance is an average rating, and gives potential readers the assurance that the posted reviews are honest and not paid for. Because the industry has changed so much over the last decade or two, so has book marketing. There is an almost infinite number of ways to obtain those coveted reviews . . . and it can be quite expensive. There are book bloggers out there selling reviews and it can be tempting to go that route, but I am finding that the very best way to go is market your book, create buzz and interest and the honest, verified reviews will come . . . eventually. 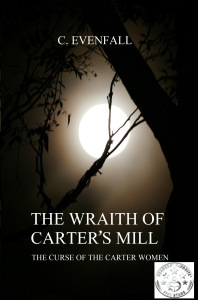 C. Evenfall is the author of The Wraith of Carter’s Mill series, available in paperback as a compilation at http://amazon.com/dp/B00VIU9YKS. Authors are on the lookout for inspiration constantly! As a paranormal suspense writer, I am no different. Most of my inspiration comes from the old stories I remember hearing as a child, but often I am inspired by current events and photographs. I love photos of old buildings the most. It’s easy to imagine an old abandoned house as haunted, but when I look at this old church, my imagination goes wild. 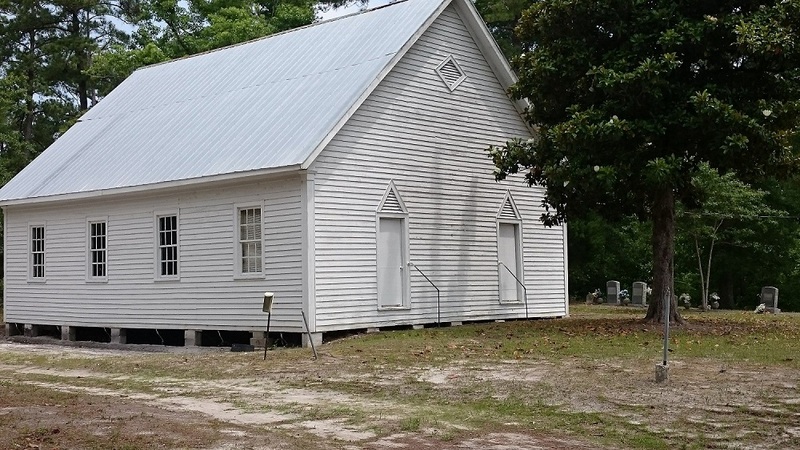 Built around the turn of the century, this old church has witnessed many events, survived hurricanes and yes, a lot of funerals were preached within it’s walls. sorry, I just had a great idea! Gotta run!